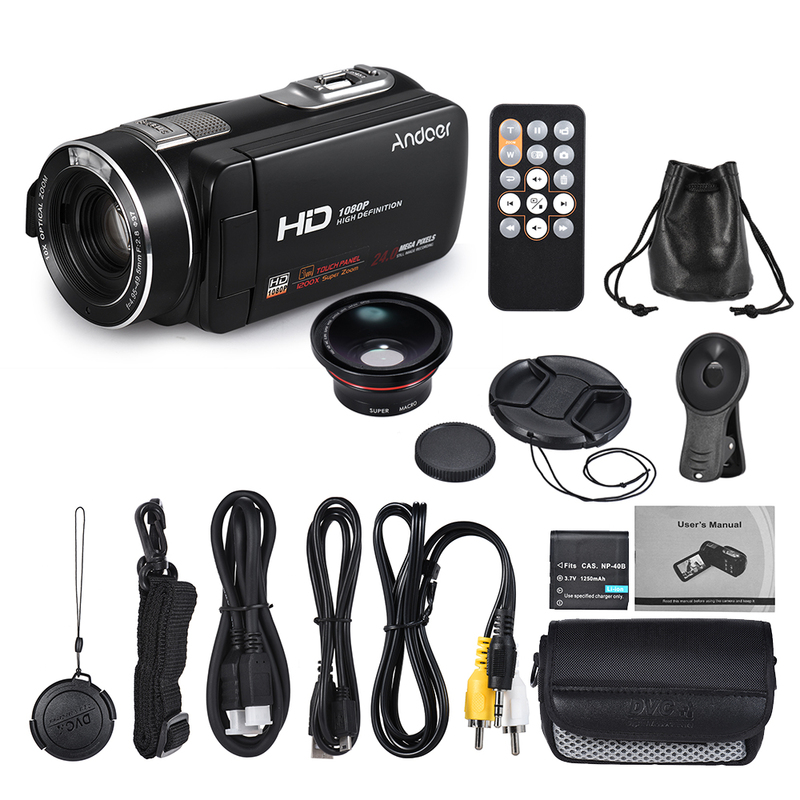 Support 1080P full HD video recording and up to 24MP(interpolation) high definition photography. 0.39X wide angle + macro lens capture more wonderful scenery and enhance sense of space depth. The lens can be applied to smartphone photography too. 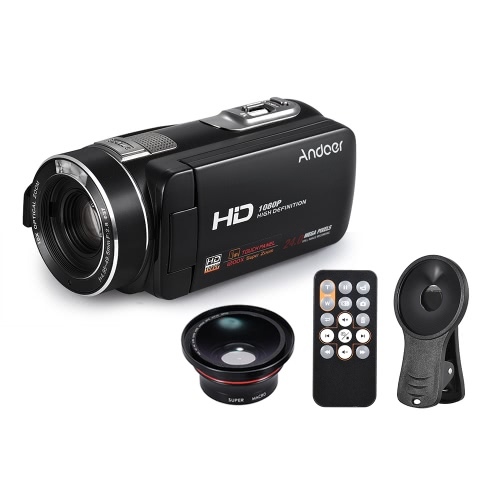 With 10 times optical zoom and 120 times digital zoom, magnify remote scene clearly. 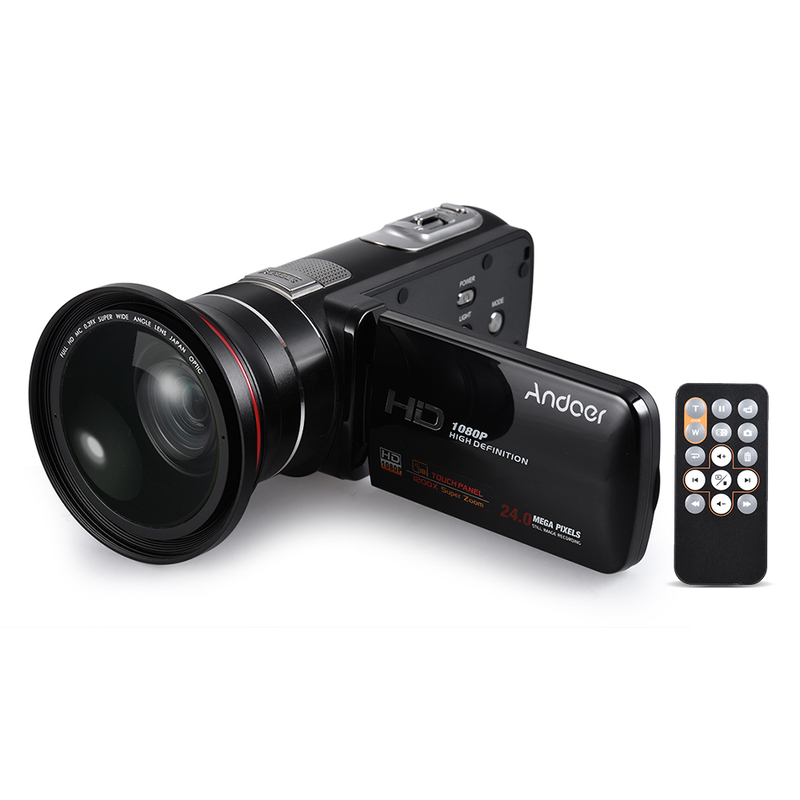 Functions such as Anti-shake, Face Detect, Self-timer, Continue Shot, Close-up Photography are available. 3" colorful touchscreen for easy operation and vivid image preview. Built-in LED compensating lamp for night shot. With remote control, effective distance 10m/32.8ft. Bottom 1/4" thread, you can mount it on tripod for self-timer or video recording. Can be connected to TV and computer. Item Size: 12 * 5.5 * 5.2cm / 4.7 * 2.2 * 2.0"
Compatibility: For Ordro/Andoer Z20, D395, Z8 plus, Z80, F5, V7, Z18 & etc. Memory card is not included and class 10 or above is highly recommended. If you cannot power on or charge the camera, please check whether there is a insulation paste on the battery. Remove it and try again.